Progressive multifocal leukoencephalopathy (PML) is a disease of the white matter of the brain, caused by lytic infection of oligodendrocytes by the JC polyomavirus (JCV) that targets cells that make myelin – the material that insulates nerve cells (neurons). This etiological virus was isolated and identified during the brain postmortem of a patient named John Cunningham post his death and thus named as JC virus in his honor. This virus is quite widespread and has been seen to be present in almost 80-85% of normal adult populations. Although these viruses remain inactive in a normal healthy individual but begin showing symptoms of Progressive Multifocal Leukoencephalopathy if the individual has an extremely weak immune system. The pathogenesis of PML is not well understood. It is known that the development of PML, while dependent on the presence of the JC virus, is the result of a confluence of specific viral and host risk factors. JCV infection is chronic; kidney appears to be the primary site of infection and it shed in the urine with the prevalence of shedding dependent on gender and age. JCV is rarely found in blood, and while there have been reports of JCV in the brain, bone marrow, tonsil, and peripheral blood lymphocytes, viral tropism, and lifecycle beyond kidney is not understood. It is therefore unclear how JCV accesses the central nervous system (CNS) and ultimately infects oligodendrocytes in the brain. There are few research findings suggest that viral mutations in the VP1 capsid protein and/or the noncoding control regions (NCCRs) might result in a change in tropism or replication capacity that is permissive for the pathogenic demyelinating brain infection. The conversion of JCV from a common benign peripheral infection to a rare pathogenic brain infection is dependent on the convergence of host and viral factors. In addition to viral mutations, significant changes to host immune function are also required. 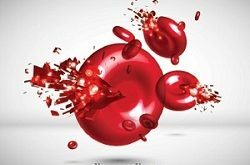 HIV-AIDS is the most common context where PML is observed, but it is also associated with pathological conditions and certain therapeutics that result in significant immune suppression or immune modulation. Immunosuppressive medications like Cyclophosphamide, Cyclosporine, Methotrexate, Prednisone, etc. in treating autoimmune ailments, such as Rheumatoid Arthritis, Multiple Sclerosis and many more. A blood-related cancerous disease like lymphoma or leukemia. If any patients have undergone immune therapy or any type of transplant procedures. This JC virus is usually present in the brain or bone marrow of healthy people in an inactive state. Many people get infected by the virus but very few actually show symptoms. PML is very rare and is likely caused by a combination of factors. 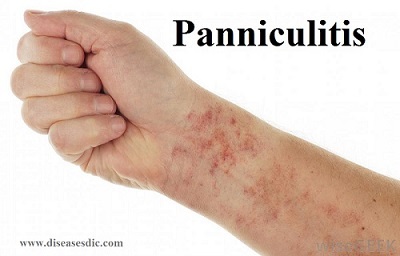 Infection with the JC virus (JCV) is required for PML to develop. Other patient-specific factors, including a weakened immune system and possibly genetic factors, may increase the risk of PML. People who have multiple sclerosis, which attacks the central nervous system, or other immune system problems, like rheumatoid arthritis or lupus, may be at risk as well. People who have some types of cancer or take drugs that keep their body from rejecting a transplanted organ also have a higher risk. 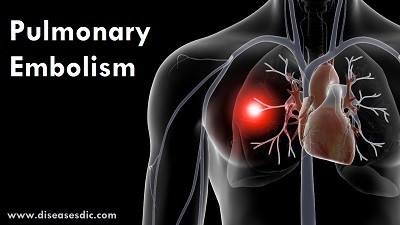 Symptoms of the disease occur in a quick and progressive manner. To optimize antiretroviral treatment for viral suppression among patients getting antiretroviral therapy, but are actually HIV-viremic due to antiretroviral resistance. Serious treatment with certain antiretroviral medicines, including Enfuvirtide has been seen to provide probable survival assistance in progressive multifocal leukoencephalopathy patients with unnoticeable plasma HIV. Cytosine arabinoside (ara-C, cytarabine, Cytosar-Ur) is currently used as chemotherapy for leukemia and cancer. For treating PML it was commonly given through a shunt into the brain and/or directly into a vein (intravenously). Experienced neurologists may dose ara-C through a shunt (called intrathecally) into the brain at doses of 10mg/m2 for three days, followed by 10mg/m2 twice a week for two weeks, then 20-30mg/m2 each week thereafter. The common dose of ara-C when given into a vein is 2mg/kg in 5-day cycles, every 15 or 30 days. Cidofovir: Several studies of the anti-CMV drug, cidofovir, first looked encouraging for treating PML. However, over time these studies failed to show any benefit and so it is no longer recommended for treating PML. Corticosteroids: There is some debate about adding corticosteroids to potent anti-HIV therapy for treating PML. Those opposed to using them say they may further weaken the immune system, which is critical in successfully treating PML. 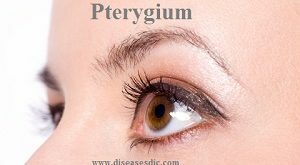 There are also a few cases where the development of PML has been associated with their use. Those in favor of using corticosteroids note that increased inflammation associated with using anti-HIV therapy may be quieted by using these steroids and thus aid PML recovery. Currently, experts are interested in studying corticosteroids as an added therapy to potent anti-HIV therapy for PML. Interferon Therapy: Researchers have been interested in using both Interferon-alpha and Interferon-beta to treat PML. In test tube studies, both are active against the JC virus. However, studies in people with PML have been terribly underwhelming. Researchers feel that if there were better ways to target the therapy to the brain lesions and the virus, it may be worth revisiting the research on these therapies. 5HT2a Antagonists: This includes drugs like Remeron (mirtazapine) – a drug usually used to treat depression – and other similar drugs. Some speculate that this class of drugs might be useful in treating PML. Experts have gathered anecdotal information as they ponder further research. Their first reaction to the anecdotes is that they are not terribly impressive. Even still, when added to anti-HIV therapy, this class may provide a new therapy. Other Possible Interventions: for study include interleukin-2 (IL-2), topoisomerase inhibitors (topotecan, camptothecin, etc. ), adoptive cell therapy (enhancing JC virus-specific cellular immunity) and RNAs. 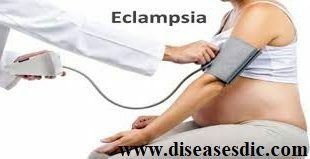 Eclampsia – Description, Causes, Treatment, and Medications. Preeclampsia – Definition, Causes, and Treatment. It might be due to bacterial infections but please consult a doctor as soon as possible.